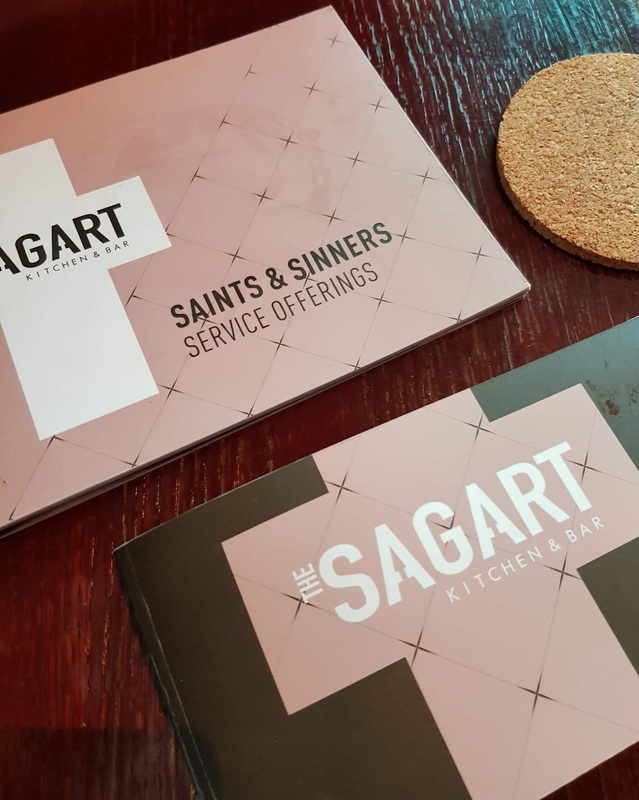 Have you heard of The Sagart Kitchen and Bar before? They are the sister bar of Havana Bank Square, located right next door to them and the space was previously used for private hire events but they have found their way and developed the #smallestbarinbelfast into a beautifully intimate and indulgent space, which is perfectly located near Castlecourt Shopping Centre - ideal for a pit stop during a busy shopping trip or even a quick bite to eat away from the office if you're lucky enough to work in the centre of Belfast. 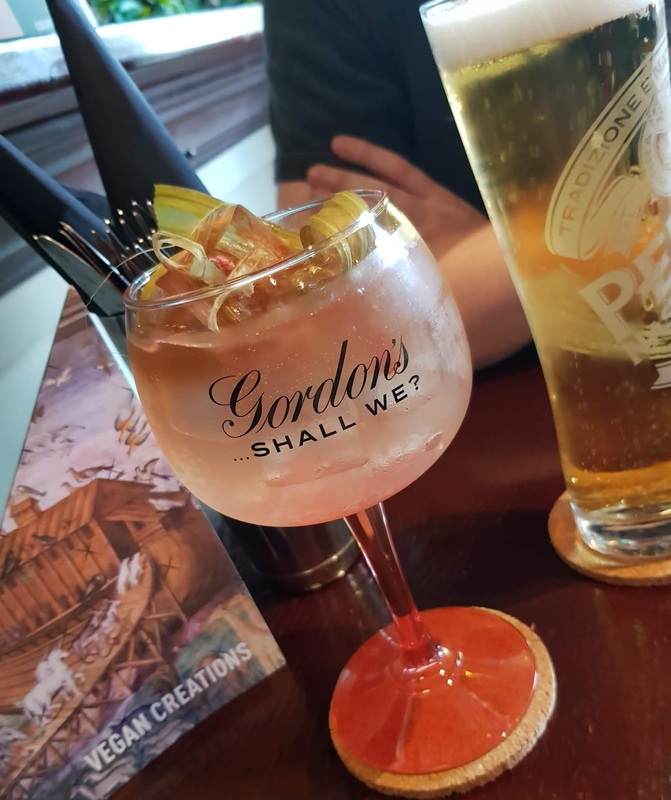 The Sagart has just six tables inside and two benches outside, it's small but perfectly formed and a comfortable setting to relax, as we did on a busy Saturday afternoon. 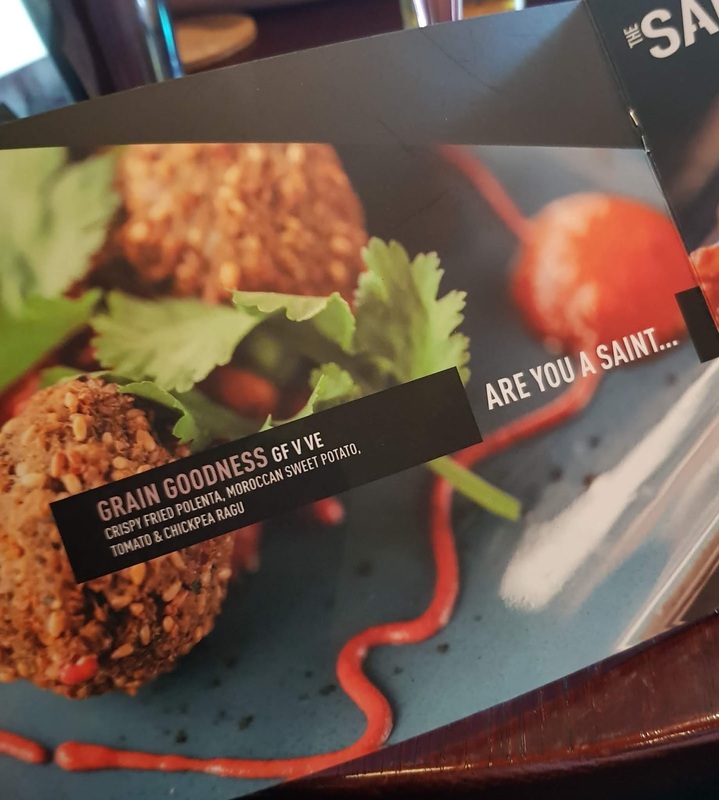 Next door to the historic St. Mary's Church, The Sagart Kitchen & Bar have developed their new menu to be a bit of a play on their spiritual surroundings; along with their name - The Sagart; meaning Priest in Irish. 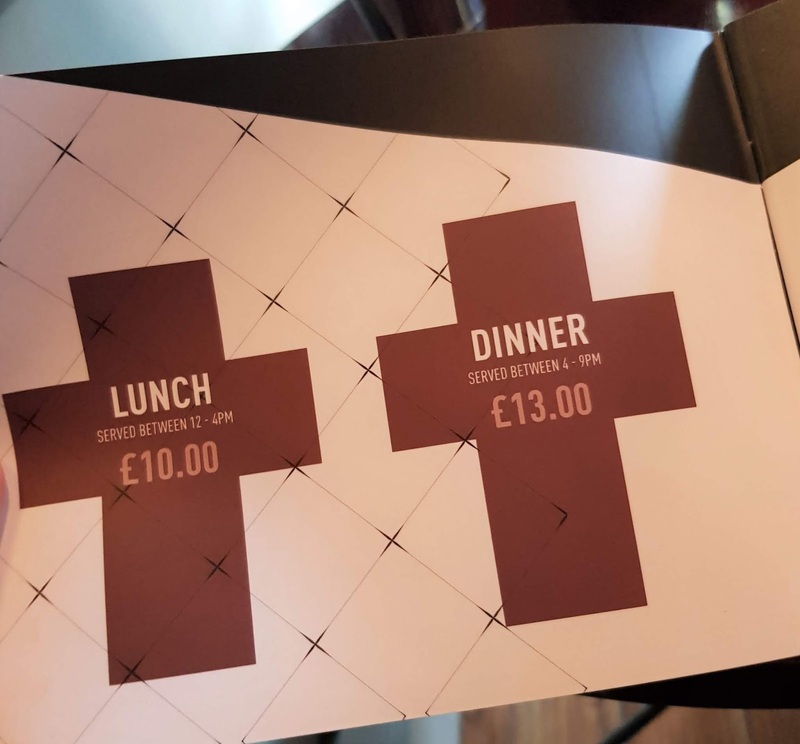 Their new Saint vs Sinners menu is a combination of indulgent treats and healthier choices with an additional menu for Vegan options. 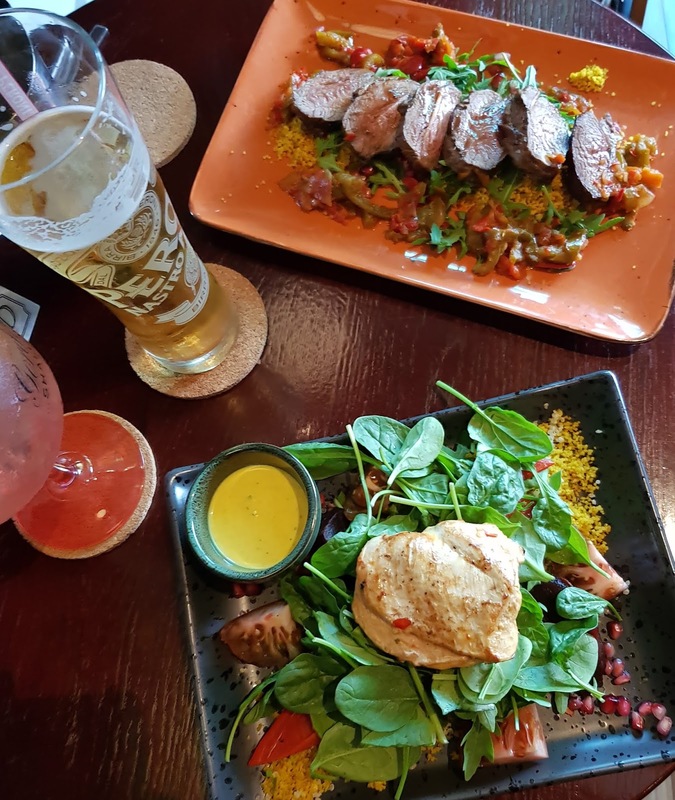 Mr Flick's and I wanted to try something from both the Saint and Sinner choices so, after far too long drooling over the menus, we opted for the Sublime Superfood Salad with Chicken (for me) and the Fiendish Rump of Lamb (for him). 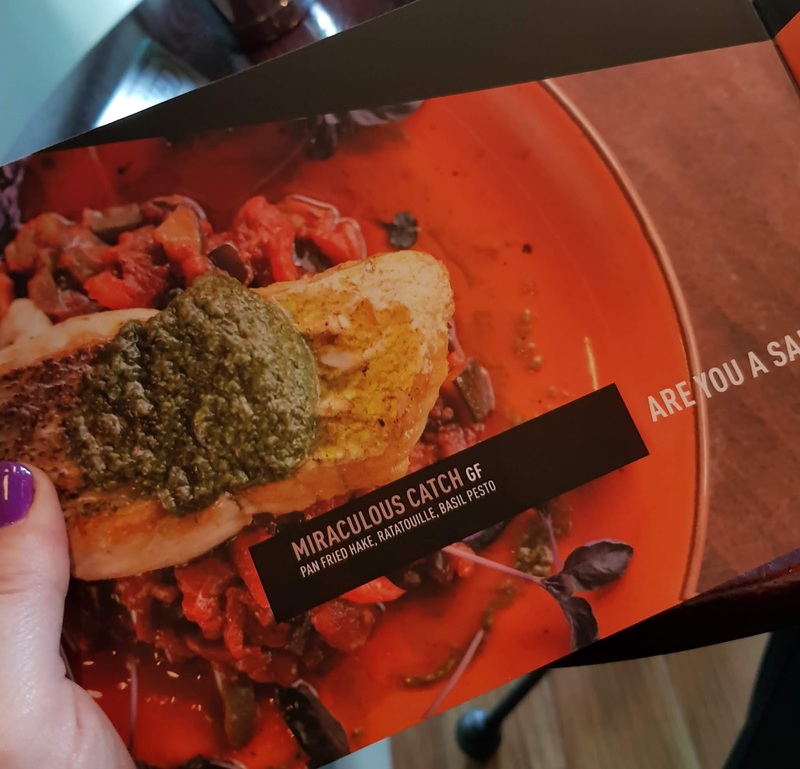 I decided to go for the salad as, for on a rare occasion, it was a beautiful summery day in Belfast and I was craving something light and fresh and boy, did the dish deliver. 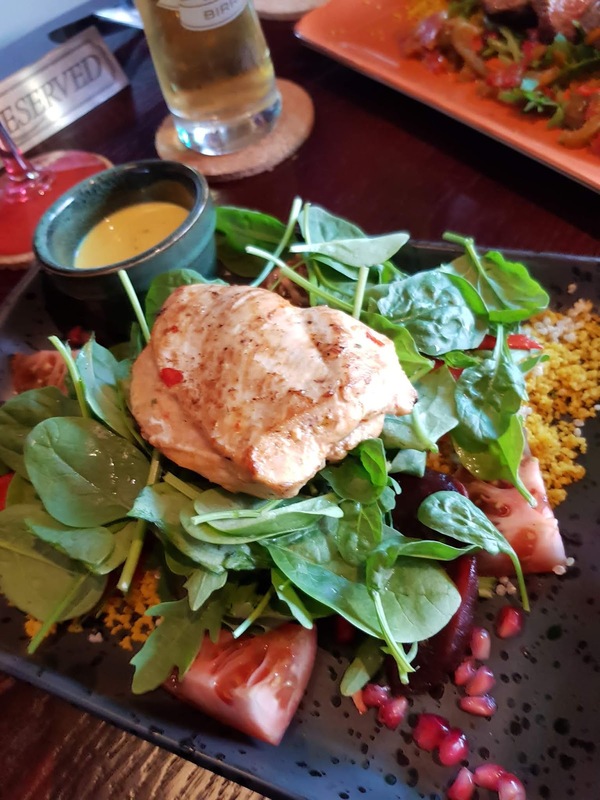 The chicken (dish also available without, of course) was beautifully seasoned and succulent while the salad of rocket, spinach, cous cous, tomato, pomegranate and the most delicious beetroot I've ever had was plentiful and bursting with flavour, all accompanied with a tangy yoghurt & tahini dressing on the side. Mr Flick's practically inhaled his rump of lamb as soon as I sat my phone down after this photo but I did manage to get a few words from him on it. 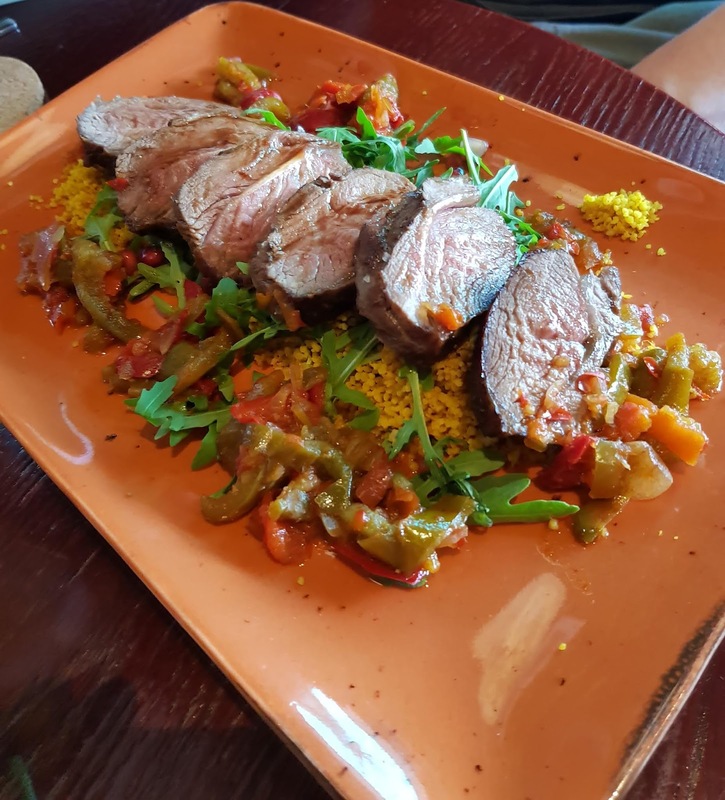 I managed to persuade him to share some of his lamb with me too and, although I'm not a lover of lamb, I was pleasantly surprised with this dish. The lamb was also served with cous cous and a harissa dressing, pomegranate and sweet, sautéed vegetables. 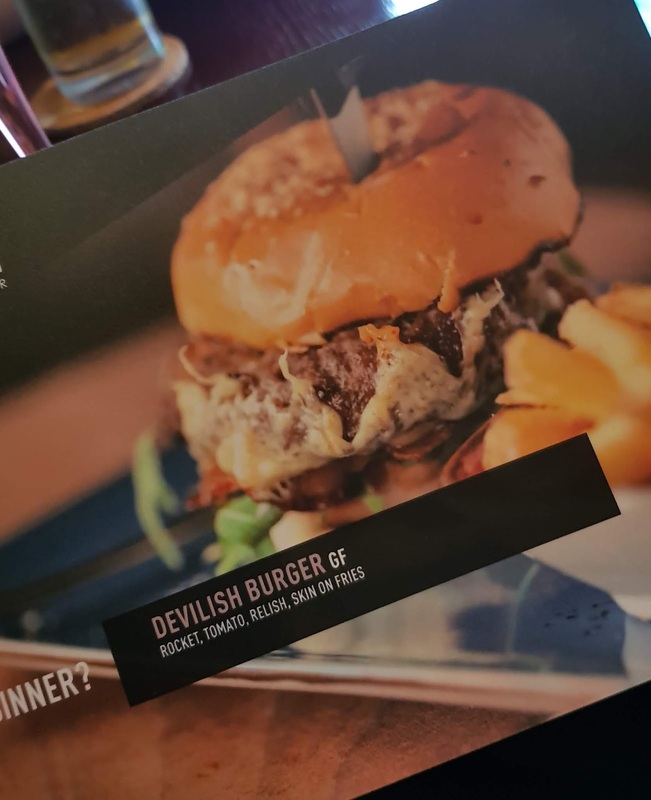 The Saint vs Sinner menu consists of around 8/10 dishes and I think you'd be hard pushed not to find a dish to suit your personal tastes on there. They have a wonderful team on hand to help answer any questions and help knock up some delightful cocktails or discuss their beer selection too - the team in The Sagart know their stuff. 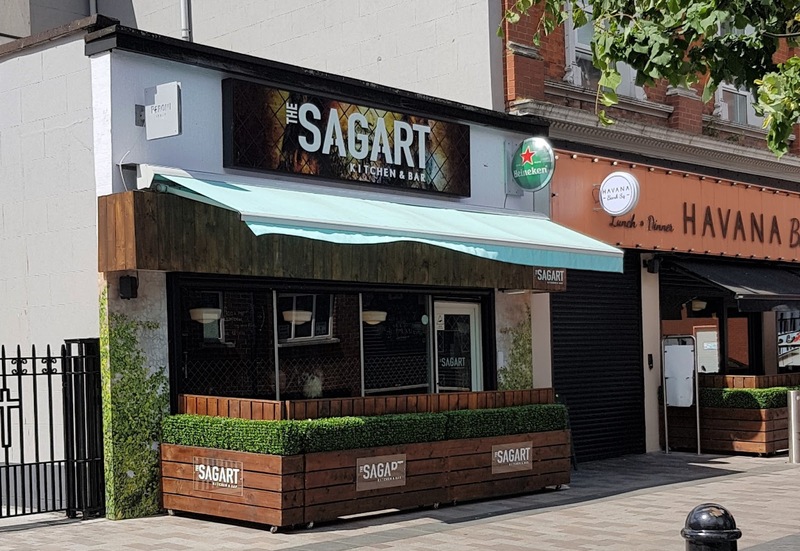 The Sagart Kitchen & Bar has firmly been added to our Saturday afternoon treat list for sure, it's fresh and affordable dishes are definitely worth a trip in Belfast City Centre for. 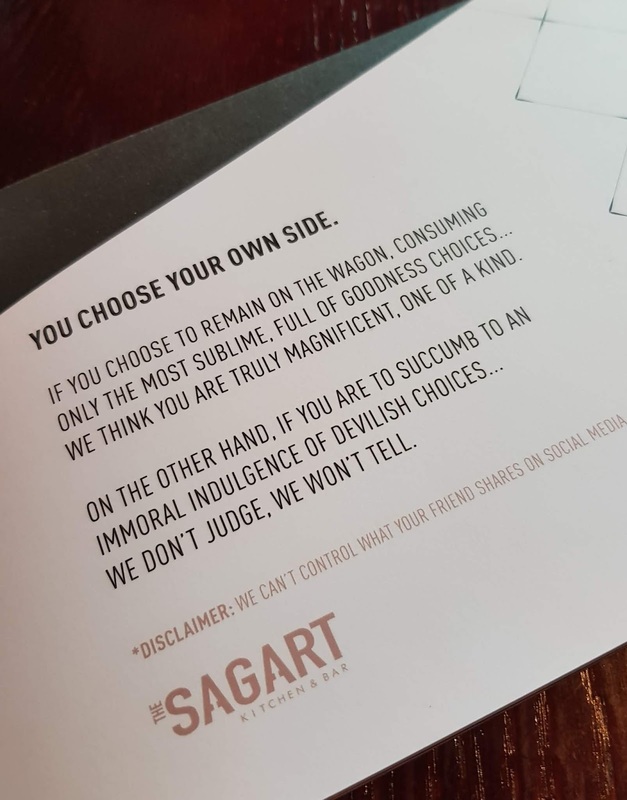 Also, if by chance you are a Belfast local, The Sagart Kitchen & Bar are now on Ohh Social, the app that gets you 2-4-1 in loads of NI locations. 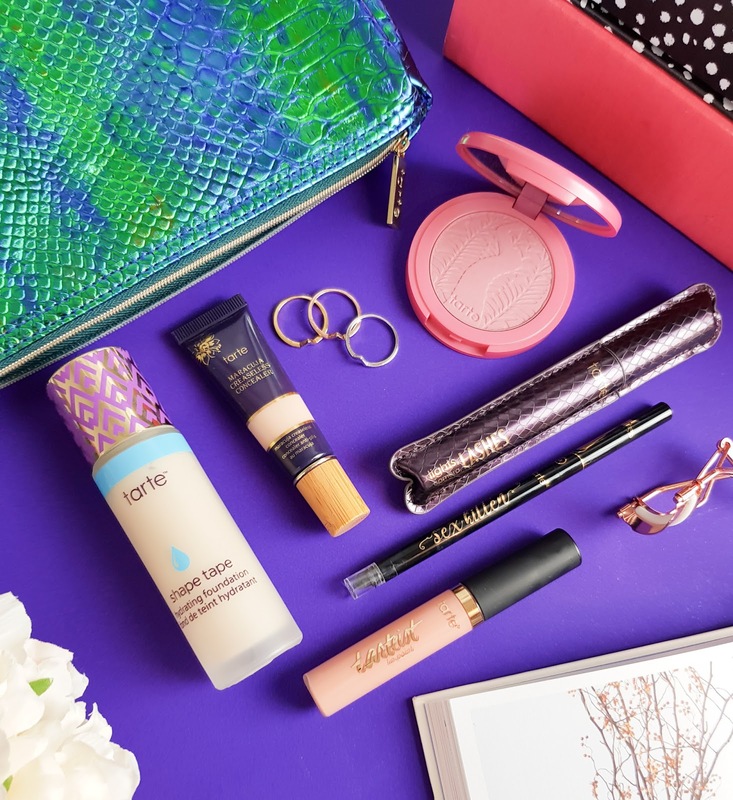 So you can use your Ohh Social app to take advantage of the 2-4-1 cocktails or even the "buy two mains, get 2 cocktails free" offer which quite frankly is an outstanding deal that we'll be using very soon. 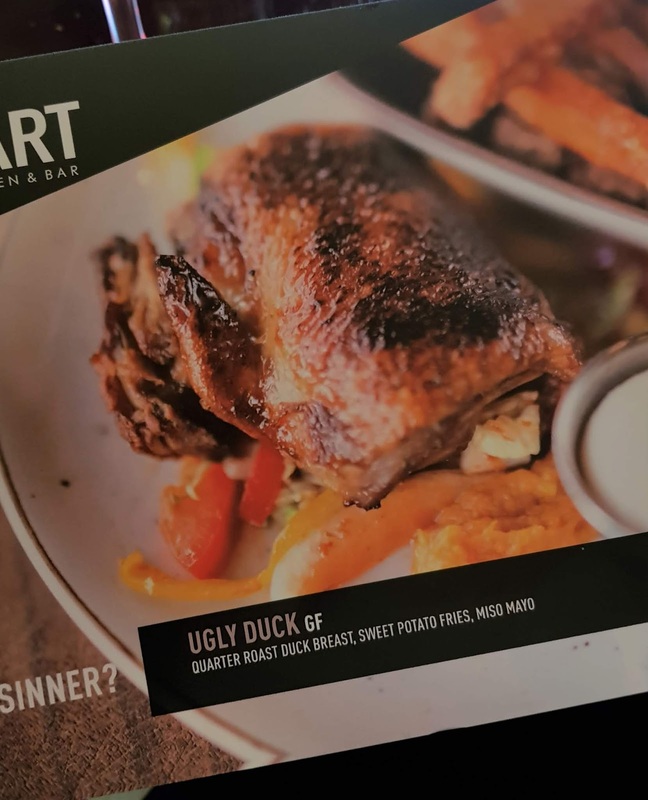 Thanks again to the team from The Sagart Kitchen & Bar for inviting us down to check out the new menus, we'll be back very soon. 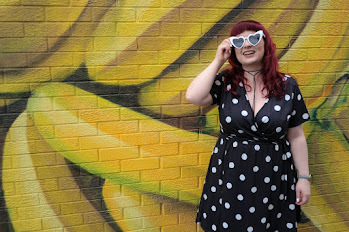 Ohh Hayley, I think you'd love it. It's a great location, SO affordable and super fresh.